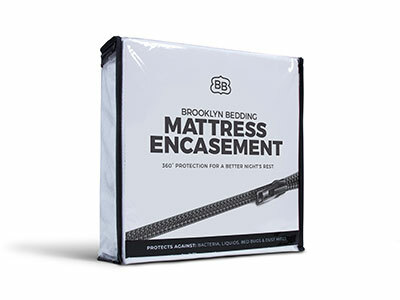 At Brooklyn Bedding, we recognize there's no one-size-fits-all mattress. 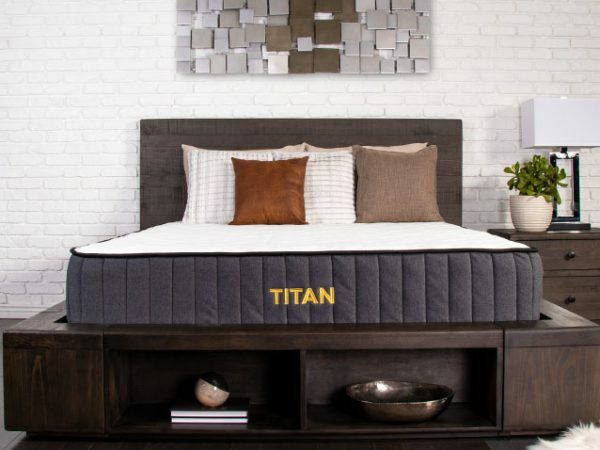 We created the Titan by Brooklyn Bedding as a plus-size solution for plus-size sleep. Firm-level support balances just the right amount of pressure point relief with a substantially solid surface for plus size sleepers. An optional feature, a cooling top panel, moderates temperature while delivering ultimate cooling on contact. 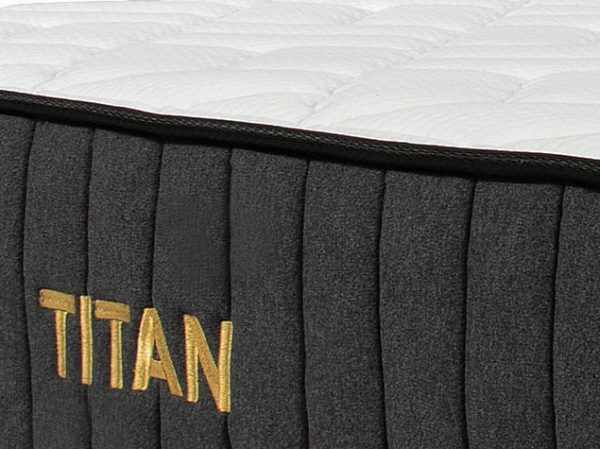 A 1” layer of quilted, gel memory foam resists body impressions and provides added cooling comfort while you sleep. 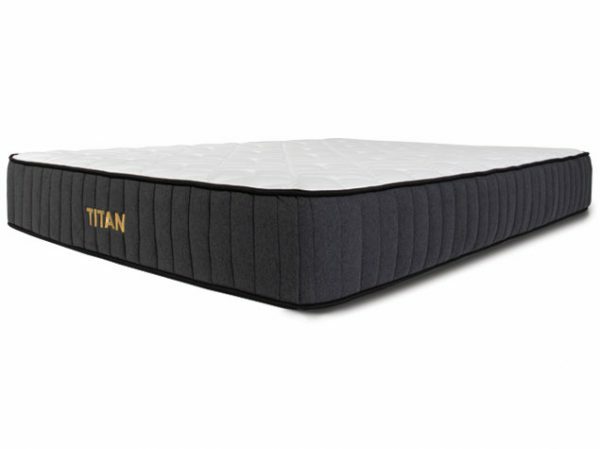 A 2” layer of patented TitanFlex™ foam delivers responsive contouring with targeted pressure point relief. A 6” core of up to 1,024 individually encased TitanCaliber™ coils provides industrial support, coupled with superior motion isolation. A 2” high density foam base adds durability to the mattress while reinforcing individually encased coils as they compress. A premium phase change molecule (PCM) fabric delivers maximum cooling on contact. 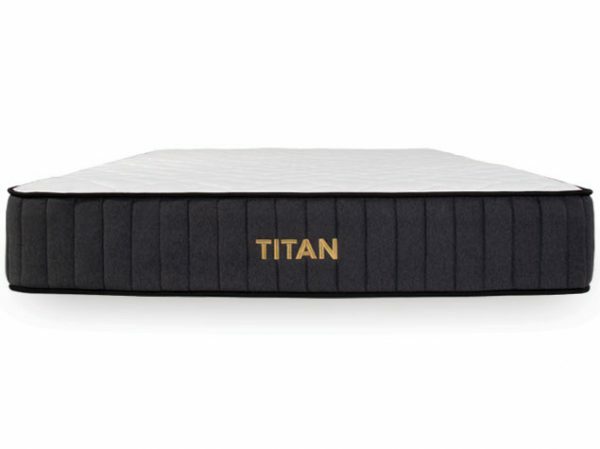 A layer of patented TitanFlex™ foam delivers responsive contouring with targeted pressure point relief. A core of up to 1,024 individually encased TitanCaliber™ coils provides industrial support, coupled with superior motion isolation.